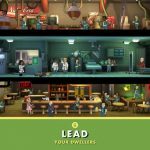 Ready for yet another Fallout Shelter strategy guide? We hope you are, because we’ve got a fresh one right here. Before we delve into the guide, let’s give you a little backgrounder about the game. Fallout Shelter is a brand new game by Bethesda that is, as of the moment, only available for iOS devices. 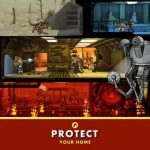 It is a game that puts you in control of a post-apocalyptic vault – an actual fallout shelter – that can house the world’s survivors. You can keep these Dwellers happy, give them jobs, play matchmaker and have them make babies, and do a whole lot more. Unfortunately, there are also dangers in the form of Raiders, Radroaches, and potential fires. And in here, we’ll be telling you about how you can deal with these dangers. You can eventually equip your Dwellers with weapons, but first, you’ll have to complete a certain number of quests. Over time, you’ll find yourself gaining access to more powerful weapons, but we would suggest not equipping your Dwellers just yet until absolutely necessary. Weapons are best stashed in your inventory, or used mainly when you’ve sent a few Dwellers out to the wasteland – just make sure you un-equip any exploring Dwellers once they return to your vault. If you notice that there’s a Raider or Radroach attack coming, what you’ll have to do is to double tap on their room. After that, tap on the Dwellers inside, equip them with your most powerful weapons, and send them off to battle. Quickness, however, is of the essence here – Raiders or Radroaches may switch to another room, and if they do that, un-equip the Dwellers in the prior room, and equip the Dwellers that you see in the new room. It’s as simple as that, though once again, you really have to be fast. We mentioned this as one of our general tips, but when it is in the context of protecting yourself from danger, we might as well touch on a few details. One of these is to keep upgrading your vault door, though there may be times when this isn’t enough. You may also want to have a few Dwellers stationed inside of the vault door, allowing them to act as “tanks” absorbing all the hit points once Raiders and Radroaches arrive. Fire is a rather tricky hazard in Fallout Shelter. One option you have here is to deploy your Dwellers to fight the fire, and another is to remove the Dwellers and send them to different rooms. However, acting fast also plays a part here, as there’s a small chance that fires may spread to multiple rooms. Let’s be realistic here – if your Dwellers get into a fight with some Raiders, they’ll suffer some damage. And if they fight Radroaches, they’ll become irradiated. That means you’ll need to have an ample supply of Stimpaks and Radaways in case either one of these, or both, happens. 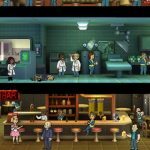 In case you’ve missed our previous articles on how to build the perfect vault in the game or you are looking for hints on how to manage your resources, feel free to check out those guides. 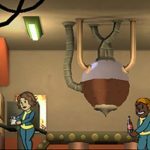 If you need tips on how to attract more dwellers to your vault, then we suggest you to read our dedicated article, that deals with this issue.